Bill Fay, making up for lost time, to release new album April 28 | Will You Miss Me When I'm Gone? 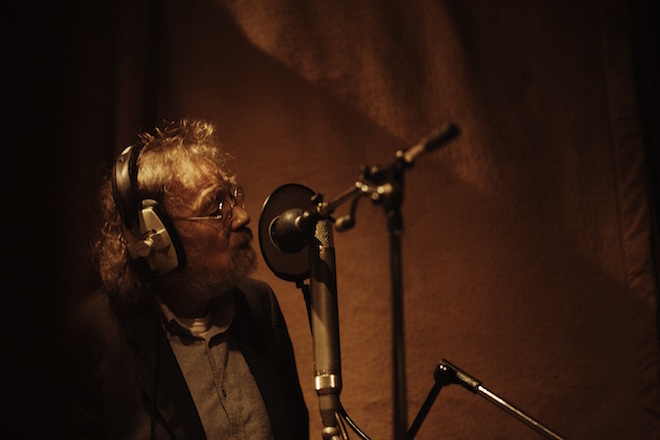 In 2012, British singer-songwriter Bill Fay reemerged with his first studio album in 41 years. Luckily, he hasn’t taken four decades to produce a followup. That album, “Life Is People” was a real statement. It revealed why his work, unknown to most music fans, had been aggressively championed for years by Wilco’s Jeff Tweedy, and often name-checked by Jim O’Rourke and Nick Cave. Although his recording career hit the rocks in 1971, Fay never stopped writing songs. So, late in life, he reappeared in public sounding like an assured artist cut from the same cloth as Randy Newman. His new album, “Who is the Sender?” is slated for release April 28 on Dead Oceans. According to his press material, the album title stems from his relationship with his primary instrument, the piano. He sees himself as a recipient of his art. Check out “War Machine,” a lush, gorgeously sad song that is the first tune to be released from from the new album. The video features lyrics and behind-the-scenes shots of the recording sessions in Ray Davies’ Konk Studios in North London. If even half of the remaining 11 songs are as compelling as this one, “Who Is The Sender?” will be a spectacular piece of art. This entry was posted in Music, Recordings, Video and tagged Bill Fay, Dead Oceans, Jeff Tweedy, Jim O'Rourke, Nick Cave, Who Is The Sender?. Bookmark the permalink.